THE POETRY COMPETITION IS NOW CLOSED. 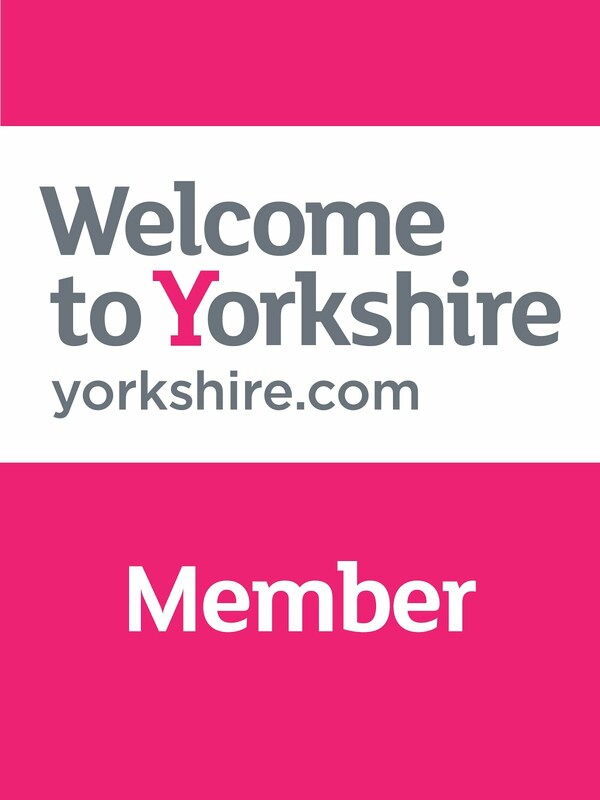 Do you enjoy days out in Scarborough? Can you be creative with words and have fun with rhyme*? Enter our poetry competition for children aged 5-11. 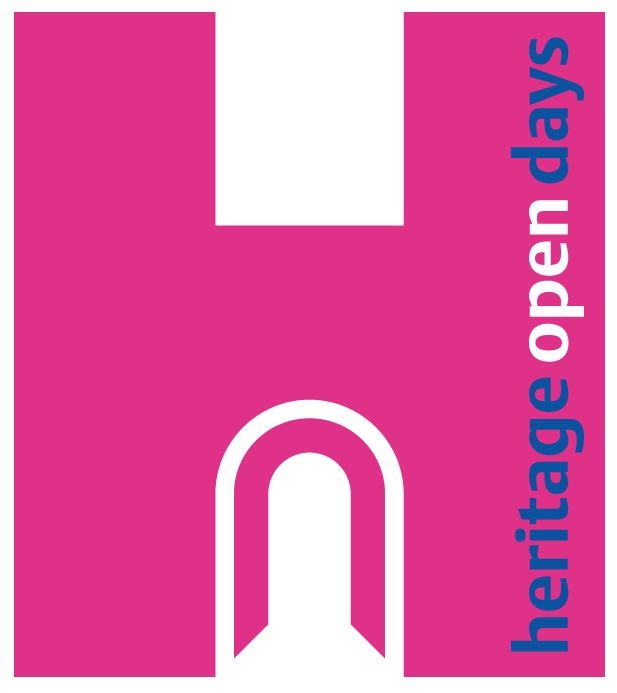 Write a poem, long or short, about a day out in Scarborough or a ride on the Central Tramway. 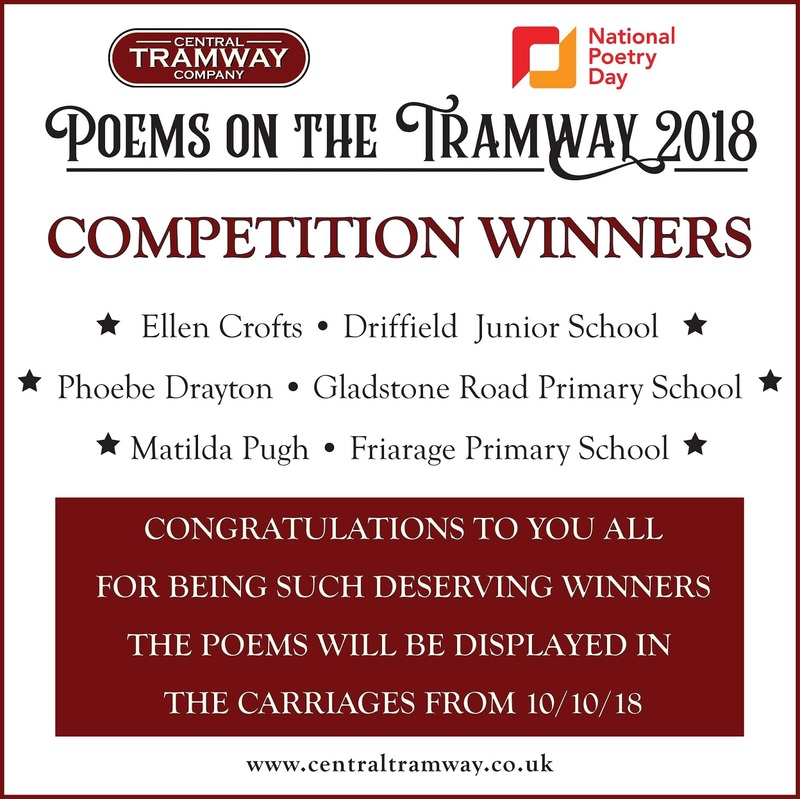 The winning poems will be announced on National Poetry Day on the 4th of October and displayed in the carriages until Christmas. 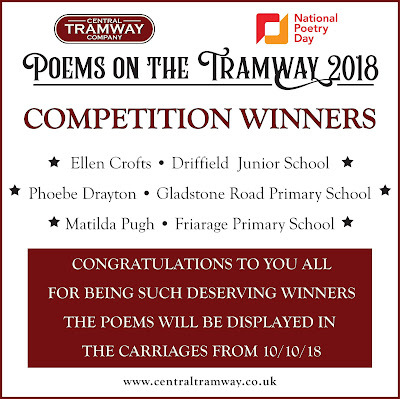 Entries must be delivered to the top station or emailed to centraltramwaycompany@gmail.com by 5pm on Friday the 21st of September along with your name, age, and a parent or guardian's contact email and phone number. 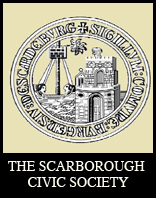 A family pass (2 adults, 3 children) for Scarborough Castle. 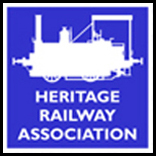 A free return ride and gift bag from the Central Tramway. £40 gift voucher for a meal at the Cat’s Pyjamas at the top station. 2 open tickets for Flamingo Land Resort - valid until the 4th of November. PLUS £100 voucher for sports equipment for the winner’s school from Sponsor Sport GB. For help and information on writing your poem visit www.nationalpoetryday.co.uk/education. * Don't worry your poem doesn't have to rhyme - have a look at one of our favourite seaside poems from Judith Nicholls about a picnic on the beach simply called: PICNIC.